Foods That Define Hari Raya For Me. When it comes to Hari Raya, both my parent families celebrate them quite differently. My dad for example, has quite a huge family members that even now I can't remember the names of all my uncles, aunts and cousins from my dad side; but when it comes to Hari Raya it was the numbers that made it extra fun to celebrate in my late grandparent house especially when I think about how much 'duit raya' I managed to get from all of them! When Eid came and it was my dad turn to celebrate the first day of it with his family side, we will be coming to Sg.Buloh the day before to help with food preparation. My late grandfather made the best 'Sup Kaki Lembu' or cow leg soup using the family secret recipe. I can feel how much dedication and love he had for us when I thought of the time he used to make it since it usually took him a few days to cook it to perfection. One of my favourite childhood memory during Hari Raya at my paternal grandparent home was watching my dad helping my grandfather cooking the soup. Now since they're not here in this world anymore, this food reminds me of the old days and always make me misses my late grandparent so much. Thankfully the family recipe was passed on and now during Hari Raya we make it a point to visit my aunt house just to have that taste that we miss. Then there is also my maternal grandmother 'Ketupat Daun Palas'. Its so good that sometimes we need to be quick to eat them because it tend to ran out so fast. 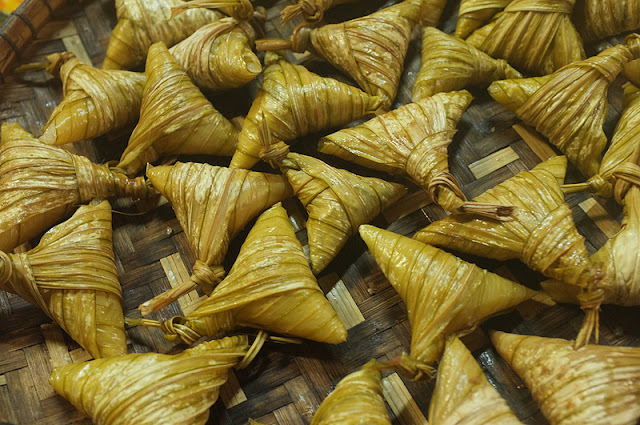 Hari Raya won't be complete without eating her ketupat and no matter how much we tried nobody ever managed to successfully replicate the taste. Sometimes I help her to tie on the ketupat but I never managed tie it strong enough to make sure the water doesn't seep in while too much boiling. When she's gone in the future, I will definitely miss her and her delicious ketupat and I think Hari Raya would be much duller then. And lastly my mom's 'Lontong' especially when eating with her 'Sambal Tumis Ikan Bilis' which is my all time favourite! Not just for Hari Raya Aidilfitri I will also bug her every Hari Raya Qurban to make it for me. I usually got to eat it on those two occasions only, so the rest the year always got me craving for the food. There were also a few times when I didn't get to celebrate one of those occasion and missed out on her lontong. To make it even more special, the memories of helping my mom to prepare the ingredient and to cut all the veggies and my favourite 'tempeh' into small pieces for my mom while she prepares for other things for Hari Raya makes the dish even more important to me. I can eat lontong for breakfast, lunch and dinner during Hari Raya and I have actually done it before. Sometimes my brothers ask if I don't get sick of it and my simple reply would be, "Never!". I don't think I'll ever get bored of eating lontong even when its not Hari Raya. My mom usually refuse to cook lontong on normal days because she said I might eat too much of it. LOL! I can't fight on that because its true! I guess many relates to my love for Lontong since Mamee Chef has now came out with a new flavour and guess what? Its #MameeChefLontong! I first wondered if the taste will be the same but Mamee Chef and Chef Ismail managed to make it very similar to the actual dish using his top secret paste. I guess after this, my cravings for lontong will be easily solved *dance of happiness*. 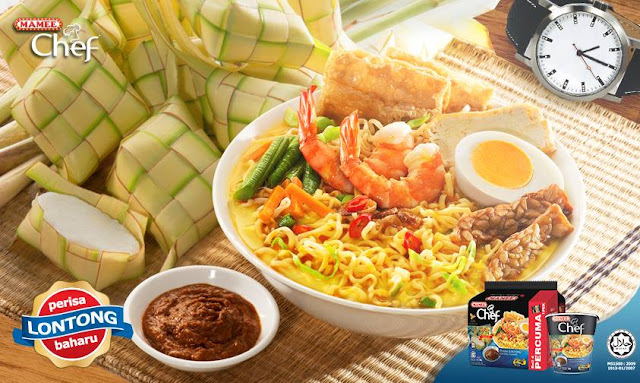 The Mamee Chef noodles also goes 'boing-boing' due to Art of Mee Tarik they use to make it. 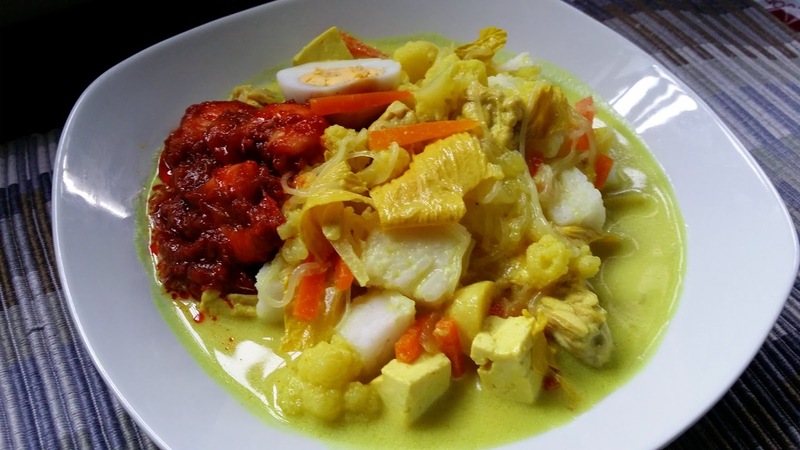 Topped with condiments that also comes in the package, I can enjoy eating my love Lontong in just a matter of few minutes thanks to Mamee Chef. For those who don't get Hari Raya leave day this year, try soothing your longing with #MameeChefLontong. At least having the taste that you miss will make the Hari Raya even more bearable. Gosh, writing about this makes me crave Lontong already. I'm going to make my #MameeChefLontong now, I hope my brothers won't bother me while eating. Hmm, should I eat in secret? LOL! You can check out Mamee Chef Facebook Page to find out more about the new interesting product! Weave Your Way to Good Deed with Sunway Pyramid! Syawal is Coming, Let's Get Excited with 1Utama! 5 Reasons Why You Should Choose Althea Korea!